Use CloudCheckr's Cost Alerts to notify you when your cloud spend is doing something you don't want it to do. 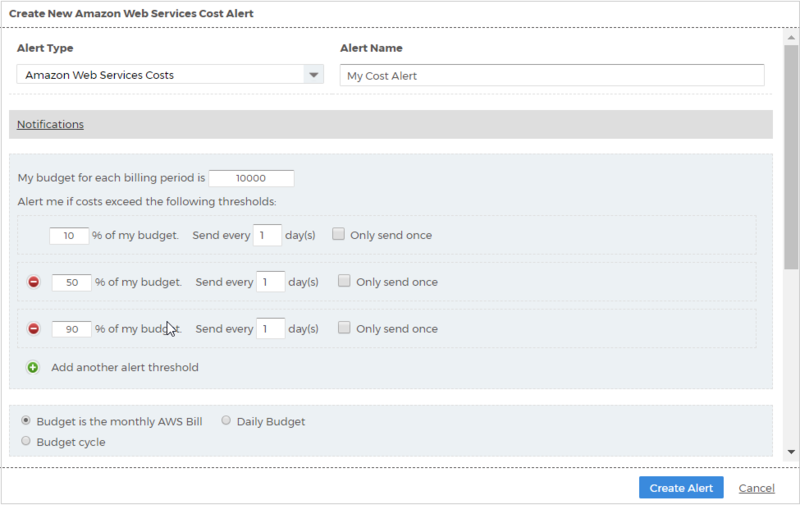 To access the cost alerts, go to the left navigation pane and choose Cost > Alerts > Manager. Within this Alert Manager section, you'll be able to create and customize an alert. In addition, CloudCheckr has very powerful and flexible notification functionality so you can be alerted via Slack, SNS, email, etc. You can learn more about working with these integrations here. After getting comfortable with your spend, it's time jump into Cost Savings.